Tobias Gantner is a restless resident of different worlds: A medical doctor by training, a health economist and jurist by education, a philosophy aficionado by academic passion and curious by default. He has worked in a number of leading positions in hospital patient care in transplant surgery and major industry companies such as Siemens (Consulting), Novartis (Strategy and Health Economy/ Health Policy), Bayer Healthcare (Head Market Access) and Johnson&Johnson (Director Market Access and Health Economics) where he had the opportunity to gain industry insights and leadership experience. 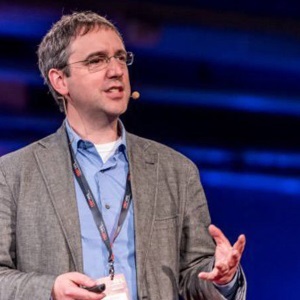 Tobias is the founder and CEO of the HealthCare Futurists GmbH. The HealthCare Futurists is an international and independent network, think tank, make tank, incubator and catalyst for innovation in health-care, life sciences and medicine. The HCFs consist of renowned experts and thriving professionals of diverse disciplines with a persistent passion for patients. The HCFs have successfully completed innovation labs with major health-care industry companies and health-care providers alike. They provide guidance to startups and are engaged in medical enlightenment to the public. The HCFs are initiators and home to the innovate.healthcare hackathons.